Paul: We’re back! It’s been a while since our last review….and also please donate money to our Jump Rope for Heart campaign for the American Heart Association. On March 1st, we went to El Sol Mexican Bar and Grill. The reason why is that Sam wanted to go to Twisted Taco for dinner. We all agreed. But, when we arrived there, we saw a sign that said, “For lease.” That meant that it was closed, so we had to figure out another restaurant to go to. The whole family agreed that we all had a hankerin’ for some Tex-Mex. So, dad asked Siri, “What are the Tex-Mex restaurants in Smyrna?” The first thing that came up was El Sol. Mom said that the Davis family (Grant’s family) likes it a lot. So, we decided to go. When we got there, it looked very small from the outside. But, when we got in, it was a lot bigger than we expected - but, it was still pretty small. We sat down and there was College Basketball on the TV screens (which was cool). We decided to look at the menu very closely, since we had never been there before. As usual with Tex-Mex restaurants, we got free chips and salsa and we ordered queso dip. That’s what we always do when we go to Mexican or Tex-Mex restaurants. It was really good, actually. The chips were not too salty, but they still had some salt which brought out the flavor. They queso wa really creamy and rich and had a very good “cheesey” taste. Dad got jalepenos on the side, which he always likes. I got the the Burrito Deluxe. I ordered beans in mine because you have to choose what you want. I would recommend getting the beans because it was outstanding in the middle of the burrito when you got to it. It was awesome. When we first got in there, I was not too crazy about the decor. But, once we got the food and we actually got to look around completely, it was actually quite neat. They have a pretty tall ceiling. They hang signs from it. 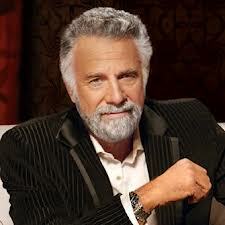 Like one said, “Dos Equis”. It had a big beer bottle near the bar. It was a float on the cieling. The service was pretty good. The server was nice. She got our food to us in a decent amount of time. I recommend this restaurant if you are looking for good Tex-Mex in the heart of Smyrna. Sam: When you walk in there, there was a sign that said, “Stay thirsty my friends.” I had the Cheese Quesadilla. I liked it. I got the Fried Ice Cream for dessert. I really liked it. I think Paul’s dessert was good, too. He go the Churros with ice cream. If you are looking for Tex-Mex restaurant, you should pick this.